Which are better: Single Coils or Humbuckers? There are many factors to consider when you’re trying to choose the perfect electric guitar for your sound and style. If pickups aren’t at the top of your list, they’ve got to be pretty close. These are the gadgets that capture what’s going on with the guitar’s strings and turn it into a signal that can be amplified. It’s easy to see why they are so important, and why choosing the right pickups takes very careful consideration. The guitar world is littered with many a tale of woe, where a player brings home a new instrument only to find that they hate the tone after they spend a few days with it. But these sad stories are often turned into glorious ballads of triumph when the aforementioned guitarist swaps out the stock pickups for something better. Suddenly, an ugly duckling becomes a beautiful swan, which is of course a clumsy metaphor for a guitar not sounding like garbage anymore once better pickups are installed. If you are somewhat new to the guitar thing all of this may sound perfectly reasonable. But you still might not get why you’d choose single coils or humbuckers, or why some pickups are better than others. It can be a little overwhelming. This article can help you out. I’ll explain the different basic types of pickups, as well as some of the more popular variations of each. I’ll also give a few examples of each type of pickup. This is where it all started, and a good enough place to explain how a guitar pickup works. Pickups are essentially magnets with wire coiled around them. 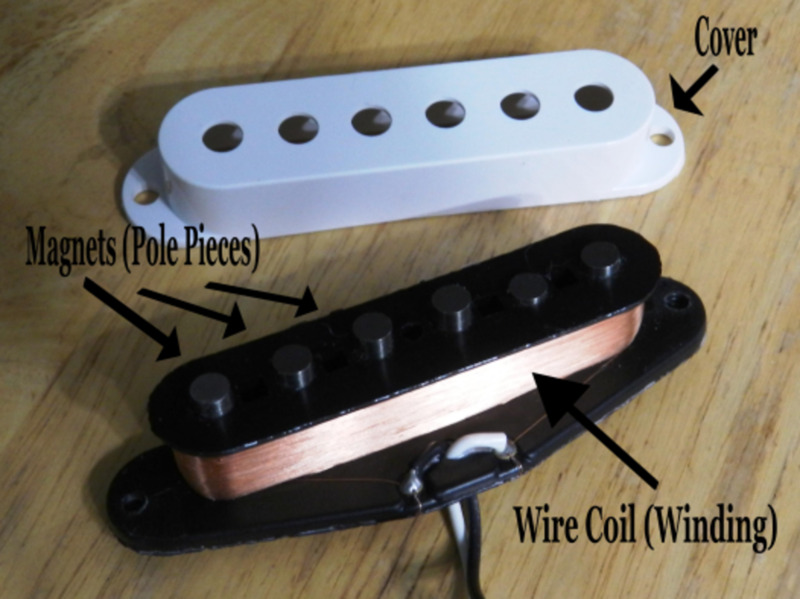 Therefore, a single-coil pickup is one magnet (or more typically a group of magnets) with a coil of wire wrapped around it. The type of magnet used, and the method employed to wrap the wire, both play a significant role in the sound of the pickup (more on that later). A pickup creates a weak magnetic field. When your guitar strings vibrate and disrupt the magnetic field, the pickup interprets that disruption into an electrical signal it can relay to your amplifier. It’s science, but cooler. In your face, Mr. Wizard! Single-coil pickups launched the era of the electric guitar. By the early 1950s Fender had released the Broadcaster (which quickly morphed into the Telecaster) and the Stratocaster. 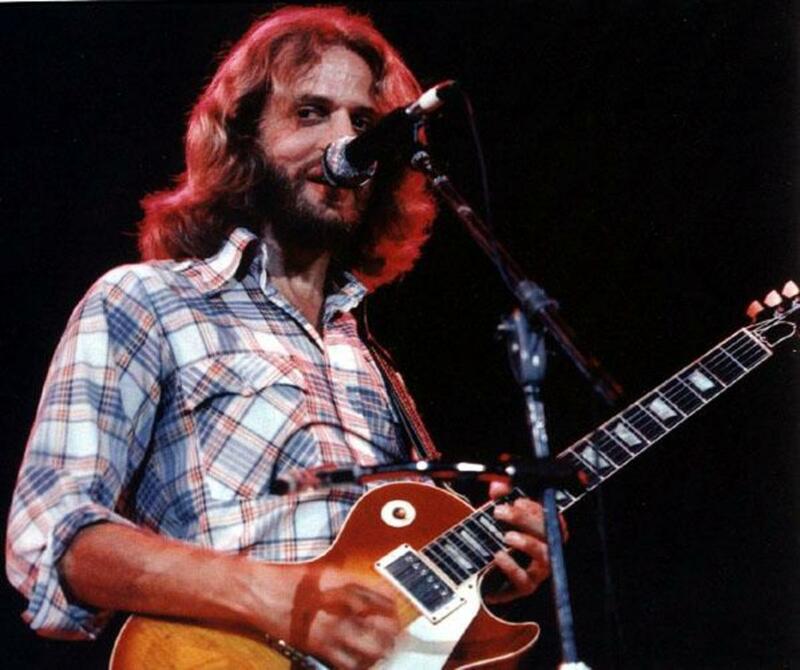 Both featured single-coil pickups, and both have gone on to legendary standing in the guitar world. But single-coil pickups had a problem. Because of their design they are somewhat noisy. In addition to the sound of your mind-blowing guitar chops they will also work as a kind of antenna, picking up and amplifying the 60-cycle hum in the room’s electrical wiring. Hey, that’s life as a rock and roll guitar player. What can you do? Parts of a Fender single-coil pickup. 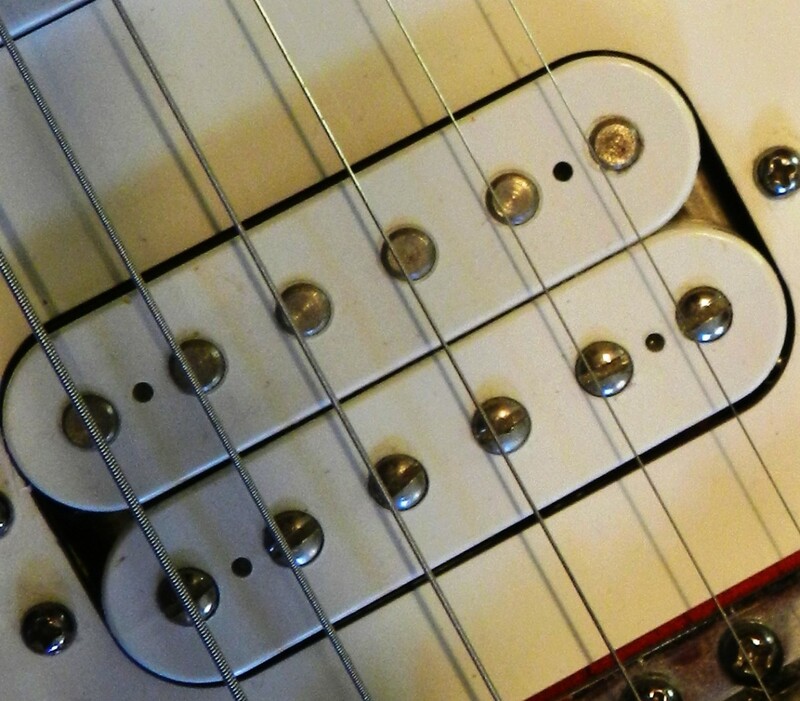 The noise issues inherent to single-coil pickups were solved by the invention of the humbucker. A humbucker also uses magnets coiled in wire, but a pair of them, one the reverse of the other. In other words, one magnet is reverse polarity and wired in reverse of its sibling magnet. This has the effect of canceling out (or “bucking”) the hum. Guitar companies like Fender learned to wire their single-coils opposite the one next to it. Once they introduced the 5-way switch, this meant the hum went away when two pickups were used simultaneously. 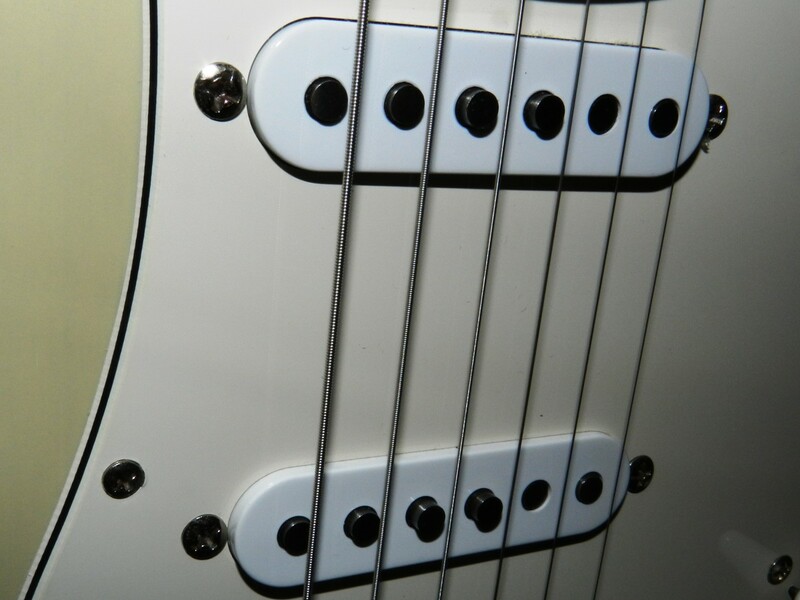 For example, in the 2 and 4 positions of the pickup selector switch on a Stratocaster. Fender also eventually introduced their Noiseless pickup series, which many players love. Other methods have been invented over the years, such as dummy coils. However, the humbucking, or double-coil pickup, has proven to be the most effective way to eliminate the noise that comes along with single coils. But they did more than that. Ever since humbuckers and single coils have shared this planet guitarists have been forced to make a choice. You must decide which is better for your sound and style of music. Because they sure don’t sound the same. Here we enter the dark and foreboding landscape of madness that is the world of guitar tone descriptions. The words and phrases used to describe the sound of a guitar pickup get a little silly sometimes, and I'm as guilty as anyone. I’ll try to refrain from using words like “thick”, “hot” and “juicy” unless I get sidetracked and start talking about hamburgers, which is entirely possible. But here’s one word you ought to be acquainted with: Subjective. This means an answer is based on your own personal viewpoint rather than a factual truth. Some people prefer chocolate ice cream over vanilla, but one is not inherently better than the other. Which pickups are good or bad, better or worse, is an entirely subjective issue, based on your personal experiences and taste. You can measure pickup output and compare design, but in the end it comes down to what sounds best to your ear. Single-coil pickups: Tend to be lower output, with a trebly sound, and a more vintage vibe. They work well in genres such as blues, classic rock and country. As mentioned, the Fender Stratocaster is a great example of what single-coil pickups can do. Humbucking pickups: Tend to be higher-output, with more low-end. They work well for rock, blues, jazz and metal. 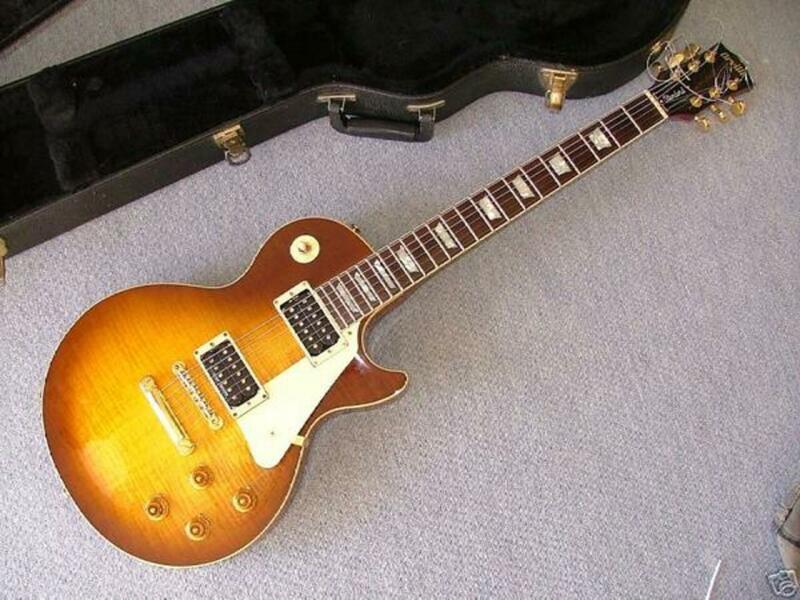 The Gibson Les Paul is a classic example of great humbucker sound. Note: In the clip below as well as the one above please be aware that many things will color the sound of any one particular guitar. Tonewoods, construction and other factors come into play as well as pickups. I've included the videos so you can get a general idea of the sound of each type of pickup, not compare the sound of the two guitars. Only you can decide which pickups work best for your style of music, and learning about them is the key. Make note of what the famous guitarists in your genre are playing, and what kind of sound they are getting. In some genres one type of pickup or another is almost standard. For example, if you want to play extreme metal you’re probably not going to get by with single coils. That said, remember the word subjective and don’t be afraid to break the rules. If you are a metal guy and you happen to decide you dig single coils, don’t let anyone tell you differently. If you are a country player and you like high-output humbuckers, wrench down your cowboy hat and go for it. There are no wrong answers, and the purpose of this article isn’t to tell you what to do. You need to find your own way when it comes to tone. Fortunately you have many options! Both of these terms describe techniques used to alter the workings of a humbucker, in some cases to get it to sound more like a single coil. Therefore, with a flip of a switch or pull of knob a guitar equipped only with humbuckers can achieve the sound of a guitar with single-coil pickups. That’s the idea in theory, anyway. Each technique accomplishes this in a different way. Pickups with coil splitting get it done by switching off one of the coils of a humbucking pickup. This effectively gives you a single working coil and one dummy coil. Pickups with coil taps shut off part of the winding, giving you a lower-output pickup. This can be done with humbuckers to get something like a single-coil sound, or with a single-coil pickup to achieve a more vintage sound. The latter, in my opinion, is probably the best use of a coil tap. So does it work? Sort of. I don’t know that I’ve ever heard a coil split or coil tap that realistically sounded like a single coil, but that’s not to discount it outright. Both of these techniques will give you an alternate palette of sounds to work with, and that’s a good thing. 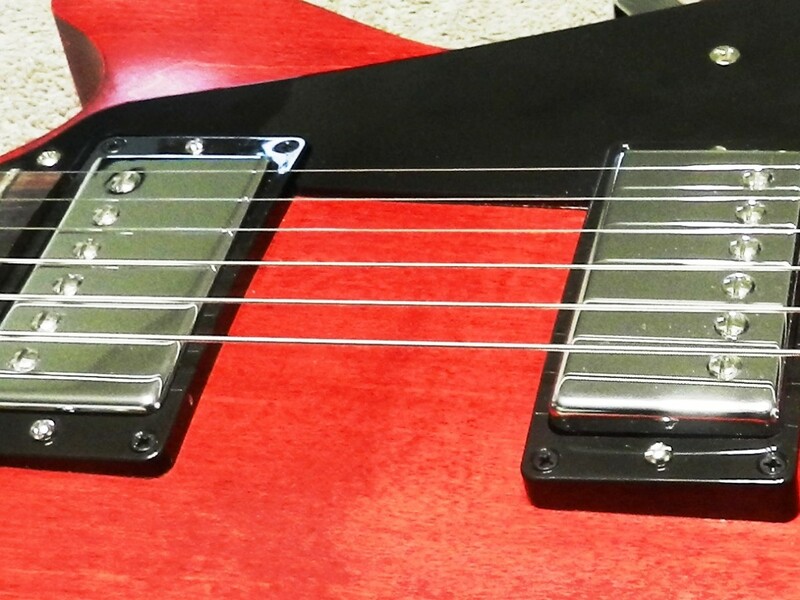 Up until this point this article has discussed the basics of passive pickups. But there is another term you may have seen while perusing guitar specs: Active pickups. So what’s the difference and why should you care? Active pickups utilize onboard batteries to boost the signal. They are typically higher output and offer a more consistent, compressed sound. You can see how this would be advantageous in genres like heavy metal, and this explains why pickups like the EMG 81 and 85 have become so popular. Guitarists can push their amps harder thanks to the greater output, but still get a compressed, even sound. With passive pickups, your picking technique plays a greater role in the guitar’s output signal. This, according to some players, is the downside of active pickups. Passive pickups, they say, are more expressive and get a more natural sound. By comparison, active pickups are more sterile sounding. You know what I’m going to say next. It’s all subjective, and only you can decide which sounds best to you. Professional guitar players use both to get some great sounds. As I said earlier in this article, the type of magnet used in a pickup makes a difference when it comes to the sound of that pickup. I’ll try to give you the low-down on some of the more common terms you’ll see, but I do have to offer up a word of caution: Pickup magnets are one of the subjects that grizzled old veteran guitarists will argue over until their dying breath. Don’t let it freak you out. Two types of magnets you will most often see are ceramic and alnico. There are quite a few truisms floating around about each, none of which are necessarily true. Ceramic magnets are typically thought of as hotter and more aggressive sounding. Because they are a little cheaper they are often used in lower-cost guitars, and this has earned them a reputation for being a little harsh. On the other hand, the word alnico seems to be used as a selling point in some cases, as though alnico magnets on their own somehow boost the value and sound of a guitar. They’re typically thought of as more musical and warmer. The truth is there are good and bad versions of both types of pickup, and just like the guitar itself the overall sound will come down to more than just one individual component. Once again you’ll have to listen to different pickups and see what you like best. Remember too that magnets are made of metals, and different amounts of various metals within a magnet will influence the sound. For example, Alnico II magnets typically get a warmer more vintage sound, where Alnico V magnets are a bit hotter. There is a lot to know when it comes to pickup magnets, and many people willing to tell you what's good and bad. Honestly, in my opinion its best to make decisions based on your ears, not popular sentiment. As you've seen in this article, pickups matter a bunch. 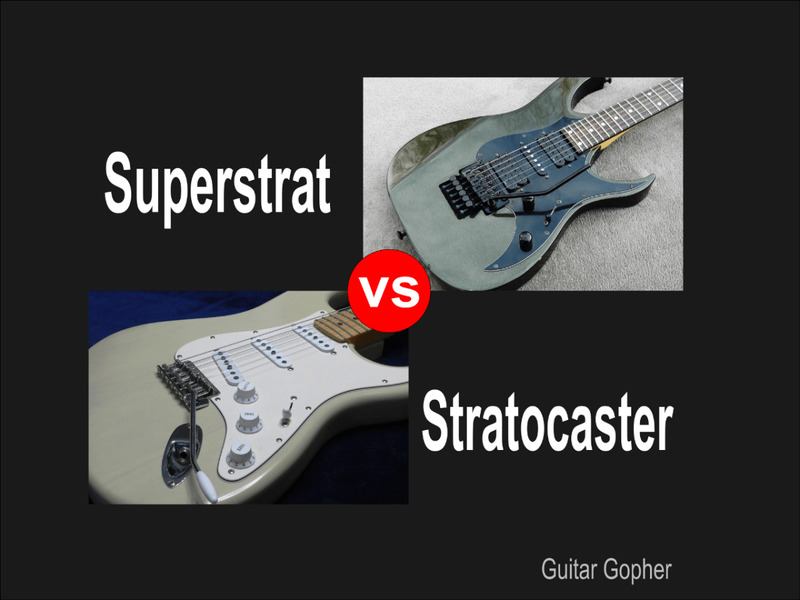 In fact, in my poll on what makes an electric guitar sound good readers overwhelmingly choose pickups and electronics over other variables such as tonewoods, hardware, design and even overall construction. 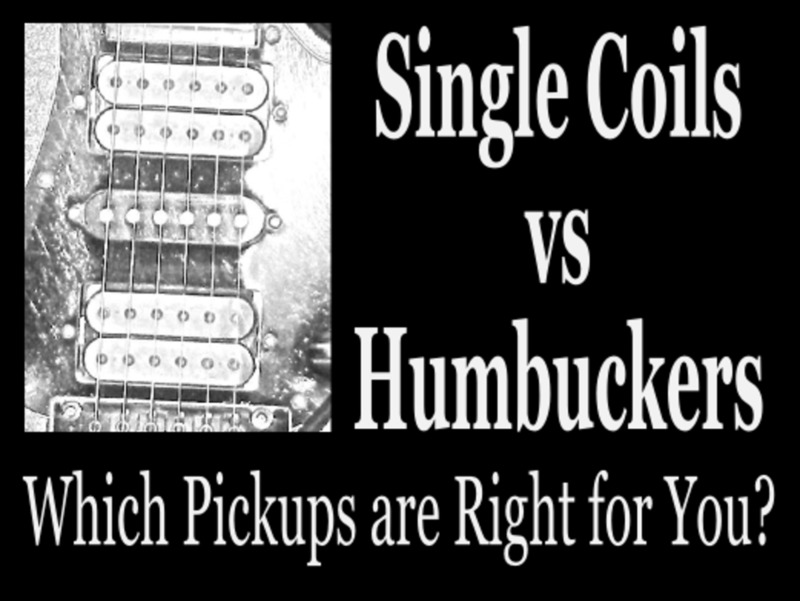 So which should you choose: Single coil or humbucker? I can’t tell you that, which you’ve probably realized by now. But I do hope you have a better idea of what you’re looking for when it comes to making your decision. To close this out, here’s a list of some of the pickups I’ve known and loved (or not loved) over the years. Remember before when I said I wouldn’t use hamburger words to describe the sound of a pickup? Well, I’ll probably start using them now, but remember this is just my opinion! DiMarzio Super Distortion: A hot humbucker with great character for a high-output pickup. I have it in a basswood-bodied superstrat, and for a long while this was my go-to guitar for metal and hard rock. Fender Custom Shop Texas Specials: I replaced the vintage pickups in my ’03 Highway One Stratocaster with these guys. They’re a little thicker and meaner than typical Strat pickups, but still have a vintage vibe. Gibson Burstbucker Pros: These came in my new Les Paul. I like them a lot so far. They have a nice crunch to them in a high-gain setting while retaining good note separation. Cleaned up they have excellent clarity and depth. Gibson 490R/498T: These were previously my favorite Gibson pickups. Still love them. I think they are a touch hotter than the Bustbuckers, with a bit more low-end. Epiphone Alnico Classics: These come stock on the Epiphone Les Paul Standard and other Epiphones. Not a bad pickup for intermediate-level guitars, but I have always felt the lack of clarity is their biggest downfall. Epiphone ProBuckers: Much improved over the Alnico Classics, but still missing a little clarity compared to Gibson pickups. Still, I’d call them pretty darned good. 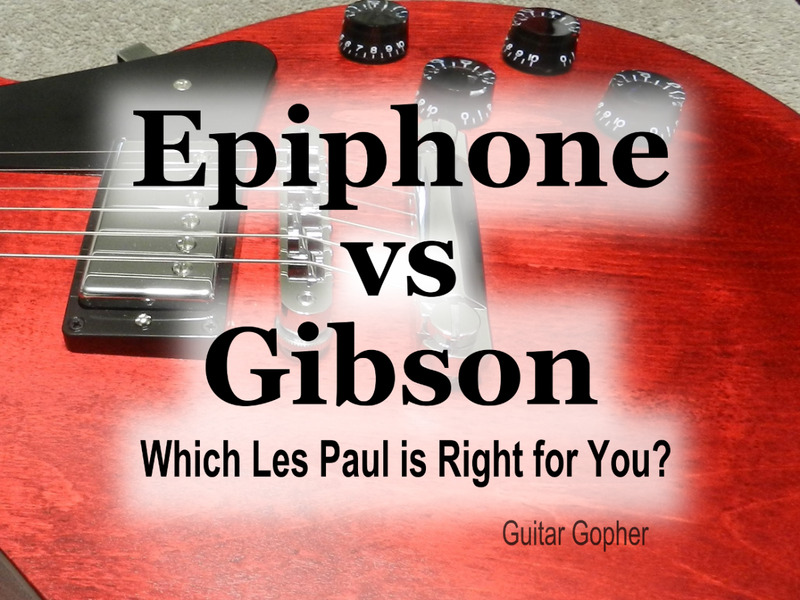 You can find them in the Epiphone Les Paul PlusTop PRO and Custom PRO among other Epiphone guitars. Carvin M22SD: For reasons I can’t fully recall I installed these in an old Ibanez a few years back. They are actually very good pickups with a rich, full sound. I also had them in a Carvin guitar and I thought they sounded brighter than in my Ibanez. Fender Single Coil Strat Pickups: These come standard on Fender MIM Strats and some Squiers. They get some negative criticism, but I mention them here because I kind of like them. You be the judge. Good luck choosing the right pickup for you! It’s a wide world out there, with many guitar tones to explore. Get to it, and try not to get frustrated. Remember, this guitar thing is supposed to be fun! Which is Better: Humbucker or Single Coil?